This week, I am once again flying solo to talk about my favorite books that I read (or listened to) in 2014. I know it is a little late to do a 2014 book wrap up and most people do predictions, but I did want to an overview of my favorite reads over the last year, eCommerce-related and not, before the end of January. What The Art of Learning has taught me about mastering a new craft. The interesting things I learned about Warren Buffett that changed my attitude about success. The book that helped me reshape my priorities. Why diversifying isn’t always the smartest choice. How Amazon learns from your customers’ buying habits. Street Smarts: Adventures on the Road and in the Markets by Jim Rogers. 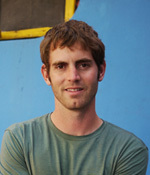 Congratulations to Michael Cole of SurivialTank.com for winning this week’s eCommerceFuel shout out!